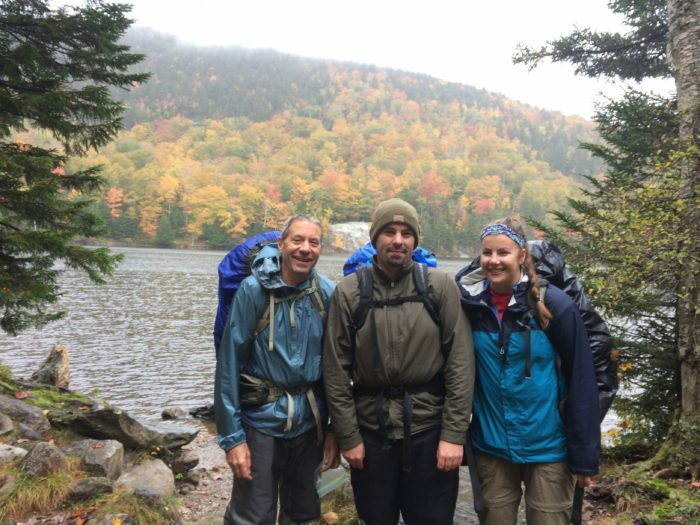 It was my second day SOBO on the Appalachian Trail from Katahdin. The sky was covered in windblown clouds, but I drew comfort from the fire I had going on the shore of Nahmakanta Lake. I’d learned a few things already in my short time on the trail: shelter mice can get into anything; blowdowns are everywhere; and there’s always something more to learn. I wasn’t wearing a watch, having decided that I didn’t need one in the wilderness. I’d tell time by the sun. It was time for another lesson. When Steve walked into the campsite, where I was waiting for what I thought was imminent nightfall, I asked him what time it was. Two p.m., he said. Oops. I put out the fire, packed up, and Steve and I headed off, the start of a trail companionship that lasted most of the way through Vermont. It was September 1975, a few months after I graduated from the University of Massachusetts. I’d been backpacking once. I didn’t want to start working just yet. And so here I was, hiking SOBO from Katahdin, saying only that I’d keep going until I tired of walking. My boots were leather behemoths, and never felt broken in. My pack was a $20 no-name that weighed nearly 50 pounds after a town resupply. (Lightweight gear? Unknown to me.) I wore cotton pants and a cotton shirt. Rain running off my poncho slid down my legs and into my boots. And rain it did through the 100-Mile Wilderness. Was the trail different in ’75? Yes, and no. The familiar: We followed white blazes from dawn to dusk, and never had enough food to satisfy our trail hunger. The changes: Hostels were rare. I never met a trail angel. The numbers: The Appalachian Trail Conservancy estimates that 788 people thru-hiked the trail in the 1970s. From 2010 to 2018, the estimate is 7,864. What bubble? We ran into a few section hikers, maybe a dozen NOBO thru-hikers, and three SOBOs with the same itinerary as us: hike until they dropped. One constant: The trail is about the people you meet and the bonds you form. 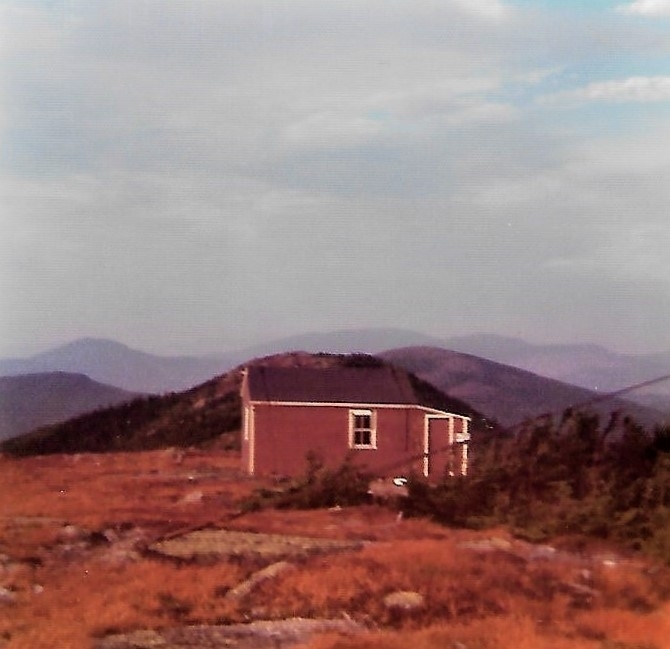 The old fire warden’s cabin on top of Saddleback. Steve and I stayed at Ken’s hostel, long since gone, in a former church in Monson. We camped along the Kennebec River so we could ford it at dawn, when we were told the river would be low before the dam release upriver. The other SOBOs, who crossed right after us, stayed with a local in Caratunk who swore to them that then-fugitive heiress Patty Hearst was hiding out in town. At a shelter in the Bigelow Range, we covered the front opening with a tent fly to keep out the driving rain and filled the shelter with pot smoke. The retired military officer sharing the shelter didn’t seem to mind. Or maybe didn’t have a choice. We went into Stratton with our three SOBO friends and stayed at a ski hostel. At a restaurant that night, we joined a wedding reception, talking and dancing with some of the women, and slipped out after it became clear the local men didn’t welcome us. Atop Saddleback, we stayed in the old fire warden’s cabin. A couple hiking the AT on their honeymoon stoked the coal stove so much it was like a sauna inside. In Rangeley, we found a room in a house while we resupplied. And I picked up chocolate chip cookies mailed to the post office by my girlfriend of a few months. Relationship sealed, we’ve been married for 40 years. We skipped the Mahoosucs because we didn’t want to do the Notch in the rain—yep, still raining—and hitched into Gorham. We asked the desk officer at the police and fire station if we could sleep there, and he sent us upstairs to the empty third floor. Sure enough, the fire alarm went off in the middle of the night and trucks went roaring out. Missing our girlfriends, tired of the rain, and not really prepared for the Whites, our next challenge, we hitched to Amherst, MA, where our girlfriends lived. After a short stay, we picked up the trail again in Hanover, NH, where we slept in a Dartmouth frat house and gorged on breakfast in a campus cafeteria. The NOBOs in Maine who told us about the all-you-can-eat breakfast said we had to have ice cream for breakfast. And so we did. We didn’t see another person on the trail in Vermont. And I learned another lasting lesson. Steve and I didn’t treat our water. We thought we could judge whether a source was safe. My luck ran out in Vermont and I came down with Giardia. End of the trail for me. Steve continued on to Massachusetts. We lost touch. With my children, Nate and Meg, at Little Rock Pond in Vermont. But I haven’t lost touch with the trail. I’ve completed the AT in New England. I’ve done most of the Whites. I’m working on the Long Trail in Vermont. I’ve been hiking with my son and daughter since they were about five. They’re in their 20s and 30s, and we still do day hikes and backpacking trips together. This fall I hiked the Mahoosucs, the final leg of the AT in New England for me. Yep. It rained through the Notch. Warning: Memories of 43 years ago may be clouded by the haze of time. I thru hiked AT in 1979 Ga to Me I can relate to ur story,wasn’t a lot of hikers back then still think about the trip everyday. I also did it SOBO, 8/5/78-6/7/79. Your recount brought back memories of the ford at Caratunk, the Saddleback cabin with our “band of 6”, the absolutely drenching rain when everyone conversed at Spaulding Mtn Lean-to, and that shelter near ? ?Goose Eye?? in the Mohoosucs with the door that was perfectly sealed with one flat poncho. My AT adventure started in 1975, too. 7-8 day backpacks in the Whites twice a year, May and September, from 1975 to 1981. Going to thru-hike (walk till I am “finished”) in 2020 with the same friend who took me to the Whites for my first backpack. Took a girlfriend on a May backpack in 1979. She loved it. We will be married 37 years this May. Loved your story. Thanks for the kind words, Bruce. Sounds as though you’ve had some memorable adventures too.